the first year it was introduced. Retail marijuana is subject to a 27.9% tax – 10% Marijuana Tax, 2.9% Sales Tax, 15% excise – plus any additional local sales tax. The Colorado marijuana tax brought in an extra $66 million, which amounts to $8 per person. But, instead of giving the money to the citizens, voters decided that the state should hold on to that money. The state has already decided what to do with the extra revenue, giving $40 million to school construction, $2.5 million to drug prevention programs, and $2 million to other youth programs. Pueblo County has also voted to increase the tax on growers to be able to fund college scholarships which could potentially amount to $3.5 million. Although this sheds a positive light on the revenue brought in by the tax laws, states that have legal medical and recreational marijuana are keeping a close eye on Colorado to see if it can really deliver on its promise. This also bring about the issue of the illegal sale of marijuana, which has been reported to be at 40%. 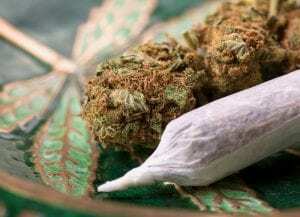 Though, lawmakers are still happy with the success that the tax has achieved, stating those who smoked marijuana previously are still smoking marijuana but are now paying taxes for it. There are still those who fear legalization will encourage marijuana use and that a “Don’t Do Drugs” campaign will not be taken seriously by anyone, especially when it’s paying the schools’ bills. A study by NYU shows support for that claim in finding that 10 percent of unlikely users would be curious to try it if it did become legal. Tyler Henson, from the Colorado Cannabis Chamber of Commerce, says that Pueblo County has to teach children to avoid marijuana use but at the same time promote the growth of the marijuana industry. Although it sounds like a tough job to do, it has been done before with another controversial subject – lotteries. State lotteries promote gambling, but are justified by the money that they give to the education system. Although, Valerie Strauss from the Washington Post found that schools that received funds from their state lottery were actually still scrapped for cash. This is because the state uses the lottery money to fund the education department’s budget, instead of using the allotted money that already exists. The money that is there specifically for the budget ends up being used for something else. As a result of the misuse of this money, schools don’t see a real boost from lottery funding.